When it comes to running an operating system from your USB drive or testing live images, this SanDisk Cruzer Fit is perfect. When it comes to running an operating system from your USB drive or testing live images, this SanDisk Cruzer Fit is perfect. 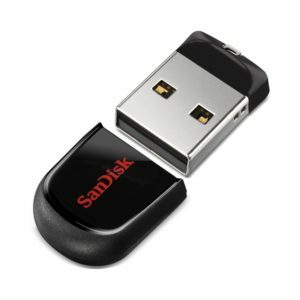 Its small profile allows you to tuck the USB drive cleanly into most cases without having to worry about bumping or snagging it while connected. 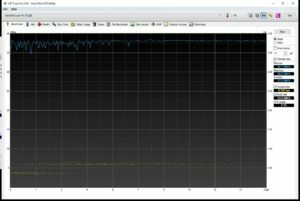 You can appreciate an issue like that whey you are running FreeNAS from your USB drive and you happen to swing the case around to check something in the back. Well, you can imagine what might go wrong with a 2″ USB sticking out of the back edge of you system and you just happen to forget it is there after running for 6 months. Oh my… that is why I switched anyway. Another handy application would be for use with a laptop or HTPC to minimize gaudy obstructions from hanging off that carefully crafted system you have on display in your entertainment cabinet possibly. 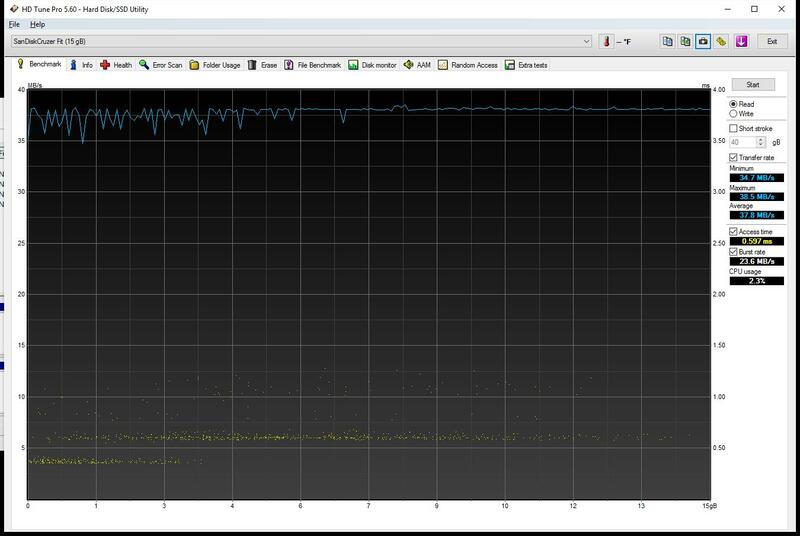 Performance showed a very reasonable 37.8 MB/s (302 Mb/s) on average testing with HD Tune Pro. Access time was 0.597 ms and burst rate was 23.6 MB/s. Speeds were consistent throughout the test.